The PE Leaders class take a picture of their crazy, mismatched socks before starting class. Photo courtesy of Mr. Roy. 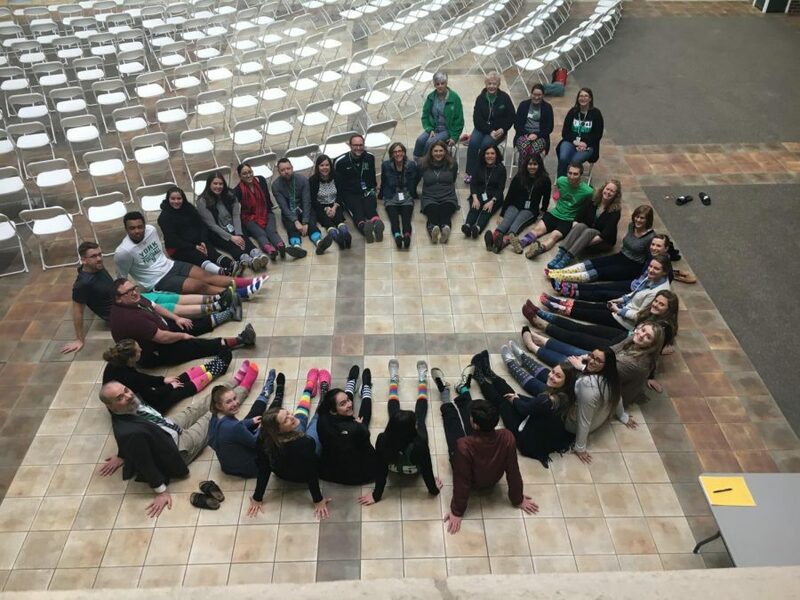 On Thurs., March 21, York students and teachers wore crazy and mismatched socks to show their support for their “homies with extra chromies” on World Down Syndrome Day. 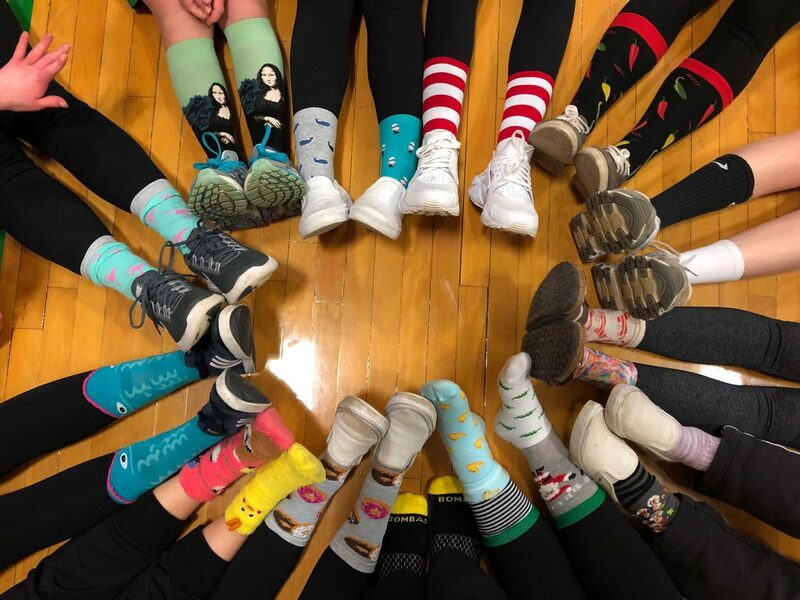 Students rocked crazy socks ranging from ones with pictures of the Mona Lisa to mismatched black and white socks and everything in between. Did you miss out on showing your support on this amazing day? That’s okay, mark your calendar and show your support in years to come! Students and staff show off their fun socks to show their support for those with Down Syndrome.